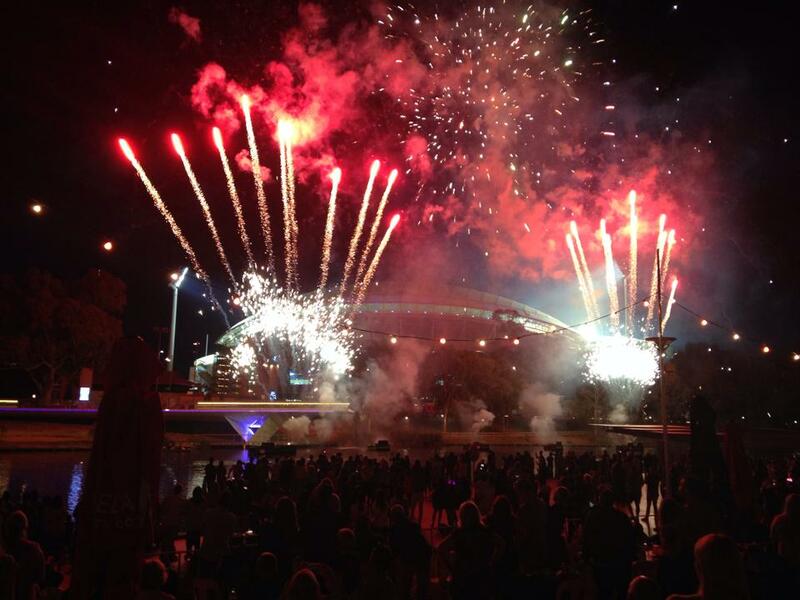 I was delighted to join thousands of South Australians for a free concert and fire-works along the River Torrens to welcome in the New Year. My congratulations to all involved with organising this terrific event. I enjoyed attending the Australia Day lunch at the Adelaide Entertainment Centre on the 16th of January. This provided a wonderful opportunity to celebrate the contribution of some remarkable South Australians and reflect on the unique culture and identity of our country. On the 11th of January I joined Deputy Lord Mayor Natasha Malani at a fundraiser at the Hampshire Hotel to raise money for those affected by the recent bushfires. This was a terrific community event and it was inspiring to see so many people coming together to help those in hardship. On the 20th of January Council’s four committees met for the first time. I was elected Deputy Chair of Council’s Strategy, Planning and Partnership’s Committee. I attended the launch of Adelaide Writer’s Week on the 21st of January. There is an exciting line-up ahead for this year’s festival so make sure you pick up your free program! 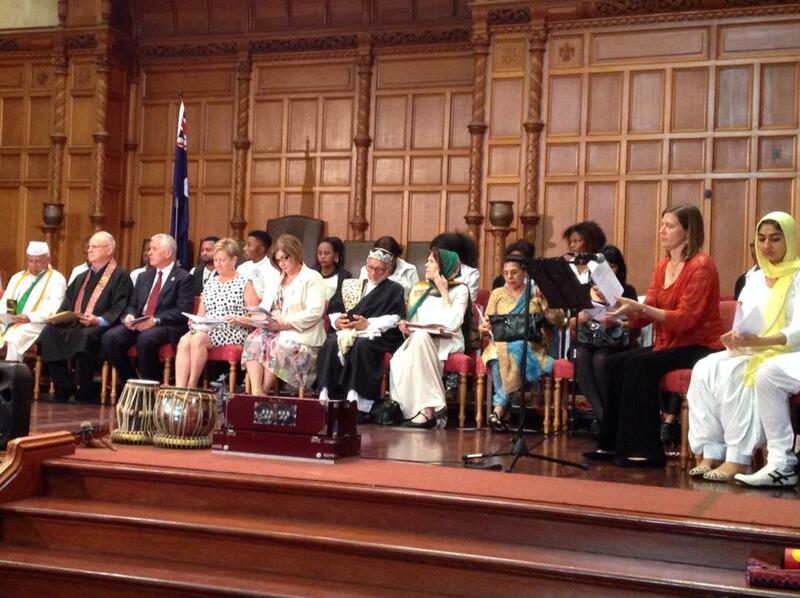 I was delighted to join the Lord Mayor and other elected members in welcoming new Australians at Council’s citizenship ceremony. It was also a privilege to join in celebrating the contributions of this year’s award recipients. Among them were Frank Ford AM (Adelaide Citizen of the Year) and Feast Festival (Community Event of the Year). 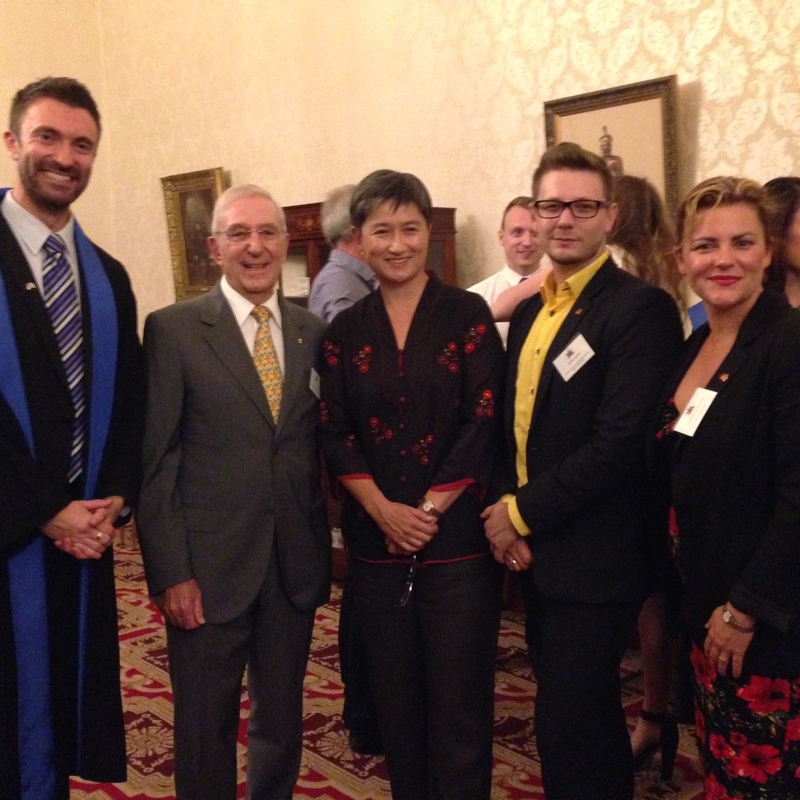 Frank and Feast CEO Cassandra and Chair Josh are pictured with Senator Penny Wong below. My congratulations to all! The event was followed by the South Australian of the Year Awards at Government House. On Australia Day I attended a number of community events. The Multi-faith service at Bonython Hall involving our city’s religious leaders (pictured below) was a lovely way to start the day and celebrate the diversity of our multicultural country. In the evening, I attended the Street Parade and later the free concert hosted by Adelaide City Council. We have much to be thankful for and to celebrate in our country. However, I recognise that for many Aboriginal people Australia Day represents British colonisation and the destruction of Aboriginal culture and tradition. In recognition of that I continue to believe that Australia Day should be celebrated on more appropriate day, one that our whole community can enjoy. Please note these are just some of the key outcomes from the meeting and do not include all matters of discussion. Complete agendas and minutes are available from the Adelaide City Council website. While I support the projects, following a deputation from Ms Kelly Henderson, I supported a motion moved by Councillor Moran that a decision on this matter be deferred so that Council administration have an opportunity to respond to Ms Henderson’s statement. I moved that the Guidelines of the Community Development Grants Program be amended to include a Program Priority for applications that provide services to vulnerable people who are affected by extreme weather conditions. The motion was carried. This will allow agencies who work with vulnerable people to apply for support for services to assist them. I’m particularly concerned about the welfare of homeless people during heatwaves but there is the capacity for this grant to provide support during winter months as well. I spoke to InDaily last week about some of the ideas that have been used successfully interstate, including provision of movie tickets to give people respite from the heat. A Rainbow Crossing in the City? I moved that administration bring back a report that investigates locations, costs and approvals required for a permanent Rainbow crossing in the city. The motion was carried. Adelaide currently does not have any permanent monument that celebrates LGBTI (Lesbian, Gay, Bisexual, Transgender, Intersex) community and culture. 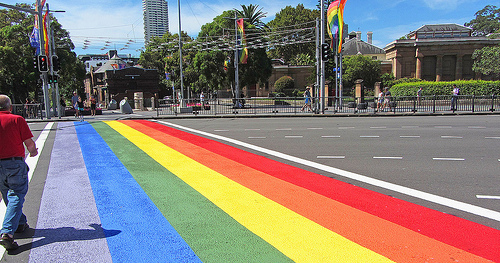 A rainbow crossing would be a positive symbol of pride, inclusion and diversity in our city. As a result of my motion, administration will now look at potential locations and options for a crossing and provide a report to Council in coming months. The proposal has generated considerable community interest and debate and since first floating the idea with Blaze last week I’ve received losts of positive feeback.. Click here for more discussion of the proposal. Deputy Lord Mayor Natasha Malani moved that Administration bring back to Council a report in regards to setting strategic key performance indicators for the Adelaide 2040 Plan. I supported the motion on the basis that it makes sense to have our progress towards the 2040 plan measured. Hi Robert, You are doing a great job and it looks like you are enjoying yourself being part of the council. My request of you is that you investigate the possibility of the reestablishment of a library for the South West residents. Chris and I need to drive down to the Torrens library as its the most convenient.. A library in this area would also support businesses in the Central Market. The Coles supermarket is of such poor quality that most of my neighbours and myself are shopping away from the market when they live within walking distance. Christine and I are shopping at Woolworths in Hilton as its close to the library . The council should investigate the services for the South West corner because instead of a vibrant community these people will leave and it will turn into a place of students and developers because the basic services are diminishing. These are the quality of shopping. The library has shut down. It takes half an hour to get to the RAH on public transport. Also the quality of the new building are aesthetically and environmentally substandard. Buildings should all include sufficient car and bike parking for users and residents. Chris and I hope you continue to enjoy you work on the council and hope you have time to consider some or all of our requests. Harvey and Christine Allen . Thanks for being in touch – sorry about the delay in getting back to you. I will investigate these ideas and also chat to your South Ward Councillors. 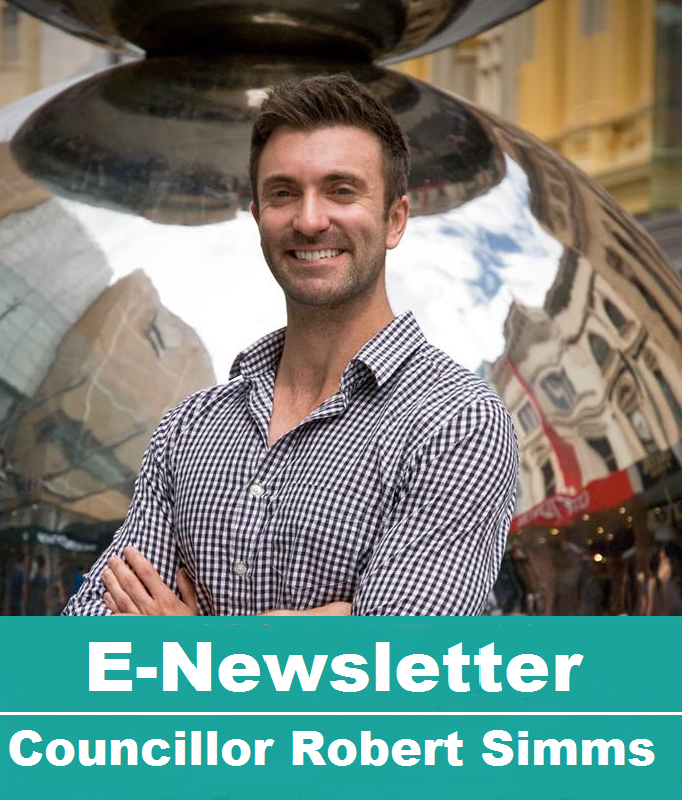 Would you like to email me at r.simms@adelaidecitycouncil.com so I can follow up?